Might be too late, but for those with an AW13 R1 + GA, if you used the GA and noticed a dip in performance in CPU-intensive games, it's related to the overclocking features in the BIOS. As far as I know, it's only the Intel Graphics Overclocking option that causes this problem. Below are benchmarks I did. When enabling the option, the speed of the processor, according to the benchmarks, limits itself to the maximum speed of using both cores, which for the i7-5500u is 100 MHz lower than the single core turbo (2900 MHz vs. 3000 MHz). The upside, though, is that the graphics scores improve, but that doesn't mean much when the combined score is lower than usual thanks to a limited CPU. I'm not sure why a limit is imposed. But in conclusion, if you are using a 13, don't use the Intel Graphics OC option. Leaving the Overclocking menu enabled / open does not cause this problem. So affecting the RAM speed shouldn't cause a problem, but since I don't have 1866 MHz or 2133 MHz RAM, I can't verify this. I'm worried the 13 R2 may be affected by this since it hasn't been noted. This is the only laptop without CPU overclocking when using the GA (except when using Haswell CPUs for some reason), so I'm sure it's a bug in the BIOS settings. Before, the overclock options wouldn't reflect the status of enabled/disabled it was in in older BIOS (I think A03 fixed the problem), so it was hard to tell. I'm also not sure if the bigger laptops are affected, I would think the AW15 R1 with the i5-4210H might be from the scores I've seen with it, but more testing with that config would be needed. 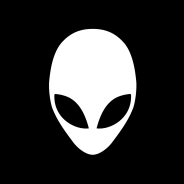 Thank you for sharing this with the Alienware Community. So I decided to re-run the benchmarks with Turbo disabled and with the OC option disabled then enabled. With Turbo disabled, I get very similar combined and physics scores from the benchmarks (except from Firestrike). Whether the Graphics OC was enabled or not did not change the score, so that means the CPU's turbo does not work correctly. It's not a power throttle, but it's something else. However, all my tests were done under the High Performance battery plan, or where the CPU would stay at 100% operating speed. I decided to use my balanced plan and use turbo, and to my surprise, the physics and combined scores were similar to how the Graphics OC option was disabled. SO I decided to go back to my high performance plan and while the physics score dropped, the combined score was much higher, being similar to when the OC option was disabled. I'll post the benchmarks and numbers soon, but in conclusion, using the Graphics OC + High Performance Battery plan causes inconsistent performance, usually to the detriment of the CPU. However, using the balanced plan may remove any unknown throttling present on the CPU. More tests would need to be done, but safe to say, it might be best to stick with the balanced battery plan when charging / on the wall.